A night before giving birth we had a get together at home and I cooked and ate like crazy! Next day @4 am I started feeling menstrual-like cramps which were really painful but bearable. First I thought I had gastric problem as I had heavy food the previous night, then I felt those pains were coming on a certain interval and were becoming stronger. I woke my husband around 5:30 to call birth unit and told them the story. They said its just the beginning, take a hot shower and stay at home. Then, after half an hour I noticed spotting and called the hospital again. They said its normal, ‘ur cervix is dilating‘. Stay at home and take rest (its a rule here in Australia to call hospital before going and they ask everything first over the phone) After that, those contractions became stronger and stronger and around 1 pm, we reached hospital they checked me and said it would take more time and send me back home! @ 5pm they said call us when the contractions are 2-3 minutes apart. Around 7 pm, I lost all my patients and reached hospital without informing them and they admitted me. But I was still 4 cm dilated (u need 10 cm dilation to deliver). My pains were becoming stronger and stronger entire night passed and next day @3 am nurse broke my water as my pains were on their peak and my water didn’t break! After that, she came to know that my baby pooped inside and they immediately did stress test for baby and came to know that poop went in his lungs and he was highly distressed (very painful moment) doctor immediately announced an emergency C-sec. So after 23 hrs of bad labour, I delivered with an emergency C-sec. I didn’t even get a chance to see my baby as I was unconscious and they immediately shifted the baby to NICU. 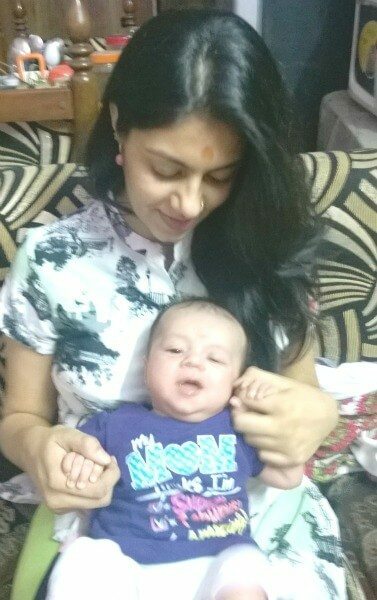 Next day morning, I got to see my baby but still dint get the chance to hold love of my life. I was dying to feel him. But the pains didn’t end here, I got discharged the second day of my C sec but my baby stayed in NICU for 15 days. From the second day of my surgery, I used to go to the hospital every 3 hours to feed my baby with such bad pain. It took us 2 weeks to get him home but all well that ends well. 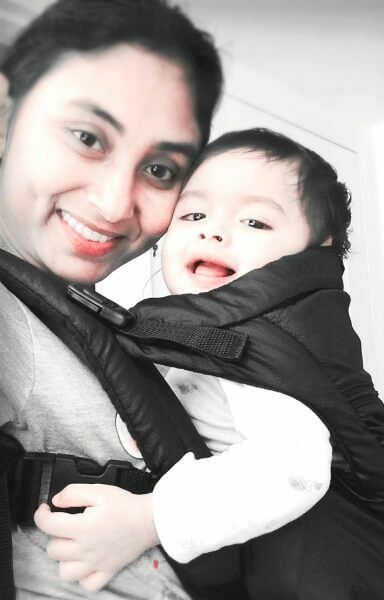 I don’t want to remember those painful days for me and of course my baby too (he used to get pricked every 2 hrs as his sugars were dropping because of high level lungs infection and many a times they used to keep him without milk to stabilize his sugar and my poor baby used to cry with hunger) but yes honestly I have forgotten each and every pain and I’m a proud mommy of a 9 months baby and really thankful to God for blessing me with my sweetheart son. 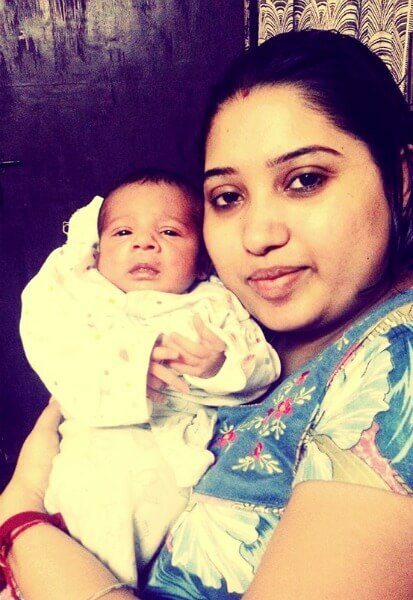 I had completed 39 weeks of my pregnancy and everything was fine, we were just waiting to go to hospital any day.. and on November 29, 2014, I was breathless with cramps.. we rushed to hospital to realize I was in early stage of labor with high BP.. Sudden pre-eclempsia in last week of pregnancy. Two days were spent with endless oxygen and heartbeat monitoring sessions for my baby and I had to wait for my BP to be controlled. Pain was induced but BP ended up rising abnormally again during labor and my doctor and my hubby decide for c sec.. we had to go for emergency c sec and the whole time before going to the OT, I kept talking to my hubby that finally I was going to see our baby and that was the only motivation to which made me enter the OT..
At that point of time it didn’t matter how I was going to deliver.. all that mattered was my baby was safe. I was sedated but could make sense of what was happening and could not react even when I wanted to.. My doctor showed me my princess, I smiled and felt ecstatic..wanted to touch her but couldn’t. When I came out of OT, I wanted to tell my hubby to get my daughter but just did not know how to. Thankfully they gave my daughter after 6 hours and asked me to latch her. Holding her in my arms for the first time I didn’t know how to react.. I was laughing and crying at the same time! Hubby was happy to see both of us safe and sound! 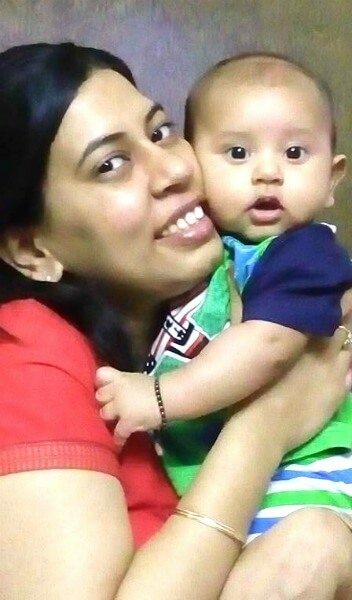 And I am really thankful to my doctor for she made me breastfeed my DD after 6 hours..and she made sure I breastfeed from the very 1st day unlike many others! 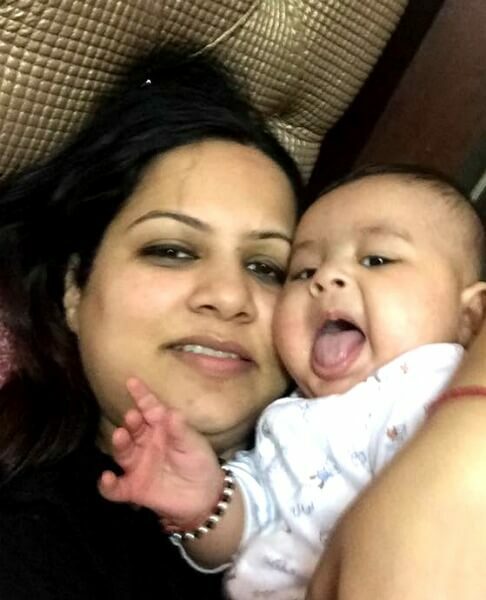 Great strong girls ….my both sons were delivered with ease via C sec ….first time baby’s chord was looped multiple times hence a surgery…second time baby was breach hence C sec ….and both the surgeries went well…. I delivered normally on 23rd September my edd was 2nd October but had water leakage on that day at 9 am and suffered pain also. The doc induced more pain and at 3.22 I delivered my bundle of joy, my charming prince and forget all the pains when I see my baby. It was amazing experience. my lo came 4 days after my due date.. my doc decided to induce pain as there was discrepancy in my lmp and due date according to sonography. Good 22 days discrepancy… so I got admitted in the hospital at 7am on 16th morning… took 3 tablets for pain then next morning around 8. Took 4 epidural and around 12.15 my son came… after almost 30 hours of labour! My baby passed stool in the stomach, my doc said ‘cant wait to push’ we need to get the baby out ASAP. My uterus was dilated to about 3 fingers.. delivered normally. It was my first issue.. Had no idea how it feels when you are in labour.. It was friday, I came back from the office.. Visited my friends.. Had dinner and evening walk.. While sleeping I felt something, but ignored it and continued with my dreams.. In the morning, told my MIL that my back is aching badly and my stomach is really tight.. I thought I had a gastric attack.. She too agreed and I took one pan 20.. After did some household chores and visited doctor for regular check up.. I was 9 months pregnant and next day was my baby shower.. But my doctor admitted me saying i’m in my early labours.. In the evening at 7:20 I delivered a healthy boy.. Throughout this my husband was with me.. I had increased liver parameters throughout pregnancy which caused intense itching in whole body, couldn’t wait to complete the term due to liver parameters. Hence doctor decided to induce pain on 38th week. I was in the hospital to check out the rooms availability and my membrane broke in the room only, where I was about to be admitted! Disclaimer: This is a guest post. The statements, opinions, and data contained in these publications are solely those of the individual authors and contributors and not of Credihealth and the editor(s).